On the surface, the One Lap recipe is straightforward: Teams of at least two drivers field a car on a weeklong, 3500-mile road trip that hits seven tracks. They go as fast as they can on the tracks, and they endure hours on the road to complete one giant loop around the country. Simple, right? It really is–until you start keeping score. Competition is what pushes participants to build ever-faster vehicles that they drive at ever-increasing speeds. And with essentially no limitations on modifications, budget and imagination are the guiding factors. Given the creativity of gearheads and the monumental challenge of the event itself, drama usually follows. Veteran One Lappers can’t get enough of this event. They plan their whole year around it, spending much of their free time improving their cars–or building new ones–and scouting out the next route. Connected now by social media, the community thrives on mutual support and friendly interplay. Seasoned Lap Dogs trade stories of the road and share helpful tips with incoming Lap Pups. The passion is infectious. The 2017 One Lap of America presented by Grassroots Motorsports like many before it, began and ended with skidpad competitions at Tire Rack’s Indiana headquarters. Compared to previous years, though, the transits were especially demanding. The weeklong adventure visited two high-speed, old-school favorites–Road Atlanta and Sebring–and they were scheduled back to back, meaning participants had to cover the 600 or so miles overnight. Those stops were bookended with trips to Memphis International Raceway and Carolina Motorsports Park. From there, teams visited Dominion Raceway, a new facility just south of Fredericksburg, Virginia, before making a 700-mile trek back north to Michigan’s Gingerman Raceway and finally returning to Tire Rack. Along the way, an autocross and an evening at the drag strip completed the picture. Weather plays a big role in how the week goes, adding a wildcard element to the proceedings. This year, that card turned out to work well for participants–at least for those with a/c. The week on the road was marked by sunny, warm days. A single day of rain at Dominion provided the counterpoint. Winning the One Lap takes a unique combination of a fast car, an excellent driver, track knowledge, logistical prep, the right tire choice, and luck. Miss out on any one of those factors and you won’t fare well. You also need to know where to compromise. The more high-strung the car, for example, the greater the odds it will break. Taking more risks on track to go faster can increase the odds of an off. And those who pick the best dry tire better hope the weather holds out. Hugh Bates’s One Lap efforts have led him to a series of overall podium finishes, including two turns as runner-up. 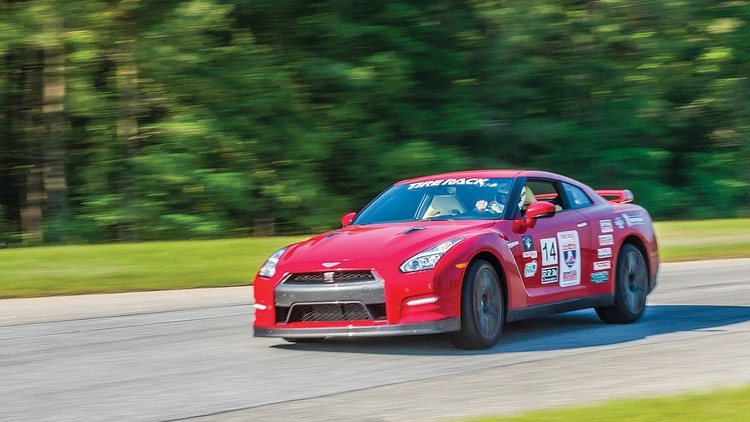 This year, with a little luck added, he finally claimed the overall win in his Nissan GT-R. He now wears a BRM watch to mark the accomplishment. While not the fastest all week, he was certainly the most consistently fast. Devin Bruce served as transit support for the team and helped keep the car in top condition. This was also the second win for the car, known as the Red Rocket, which was originally built by Doug Wilks’s TopSpeed Motorsports and driven by Leh Keen to the 2013 title. 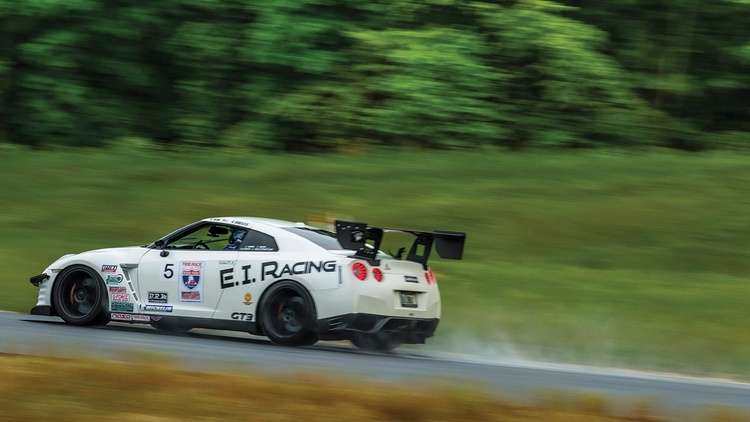 The Rocket is now maintained and developed by Will Taylor, who also turns wrenches on the GT-R driven by Catesby Jones to the 2014 and 2015 wins. Taylor and Jones were leading the way this year by midweek–and then a differential failed catastrophically. This may have been undetected collateral damage from their event-ending wreck in the rain at PittRace last year. This year’s heartbreak award has to go to Bob Knoerzer and Derek Heim. They had the outright speed to win and claimed the top spot in a number of track sessions, but a single DNF at Sebring cost them big time. An errant ECU fault light stopped Bob on track, only later to be diagnosed as a false alarm. Ouch. Also consistently fast was the Ariel Atom of Jack Beachem II and Victor Leo. In its second year with turbo power, the car delivered the necessary speed to again podium in third. Adding to the obvious insanity of driving an almost invisible open-cockpit car on crowded highways at night and in foul weather, their trailer decided to split in half on the transit from CMP to Dominion. Rescue and repair efforts ensued, and the duo was back on the road with a minimum of time lost. Each year a number of manufacturers use One Lap to test and promote their products. Some are recurring entries and others are one-offs. To maximize the marketing value, there are typically media teams following these efforts. This year, Falken Tire supported two major teams, both sporting their new Azenis RT-615K+ tire. The entourage also included an 18-wheeler at the start/finish line plus a media chase car. Both teams have unique stories of accomplishment against the odds. The first was Mike Maier and his 2017 Mustang, known as New Blue. Maier is a multi-time national autocross champ who has turned his primary attention to pro touring events like Optima’s Ultimate Street Car contests. He builds great cars and can drive them, too. His partner was Andy McKee, another autocross champion. Together they worked their way from 34th overall to 12th, taking the SSGT2 Big Bore class win. Falken’s other team was the venerable RS Motors squad, last year’s runner-up. 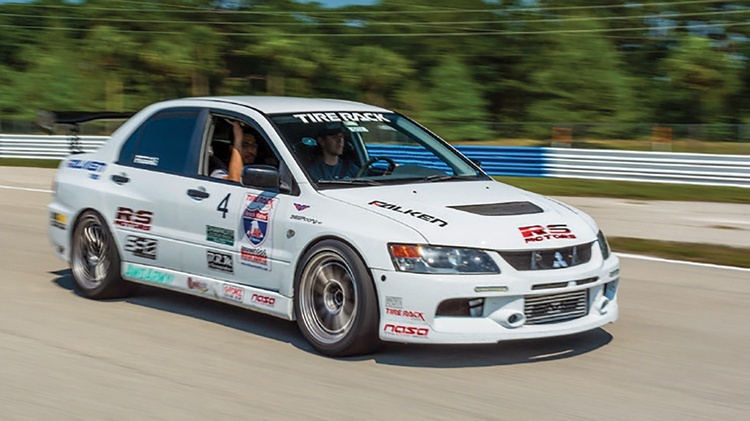 Andy Smedegard, Brandon Ranvek and Ronnie Soliman put together this year’s Evo just weeks before driving it from Minneapolis to the event’s starting line as a shakedown. The team quickly asserted itself at the pointy end of the field, landing a dominating win at the autocross and third place at Memphis. Unfortunately they cracked the crankshaft, toasting the engine. Undeterred, the team rented a U-Haul and trailered the car ahead to Sebring. Once there, a friend lent them another engine that they installed in his driveway. Despite being down on power, the team was still full of passion, soldiering on for a string of top-10 finishes. They even scored an outright win at their home track, Gingerman. As they say, the journey is what matters most, not the result. To put an exclamation point on its Pilot Sport 4S introduction, Michelin sent the team of David Rose and Nick Parente in a beautiful 2017 BMW M4. They spent the week soaking in the experience, gathering media materials, and interacting with other participants. 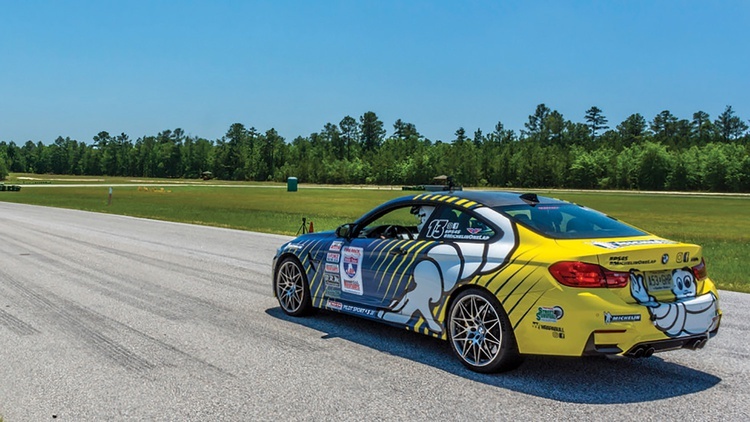 The BMW Performance Driving School annually sends a team to show off the brand’s capabilities, and development test driver Mike Renner was behind the wheel again this year. He drove a 2017 M3 Competition Package to win the Stock Touring class while finishing 10th overall. The folks from the Roadkill internet show attempted to outdo RS Motors, spending only three days on their build. In addition to the quickly constructed 1969 Pontiac Firebird, they also brought a brand-new Dodge Hellcat. 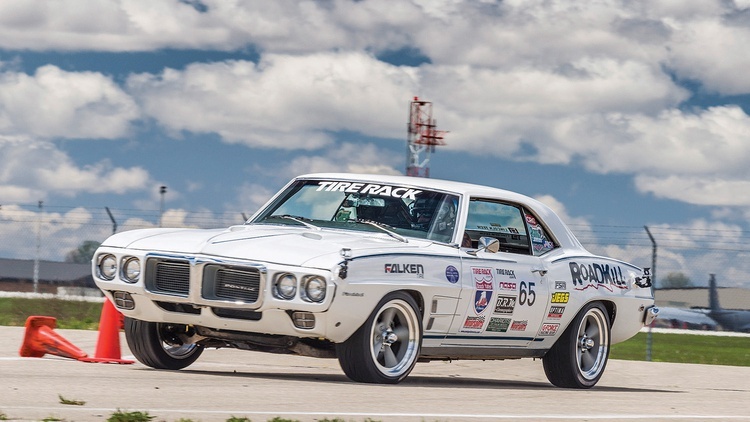 They missed three days of the event while rebuilding the Firebird’s engine–again. 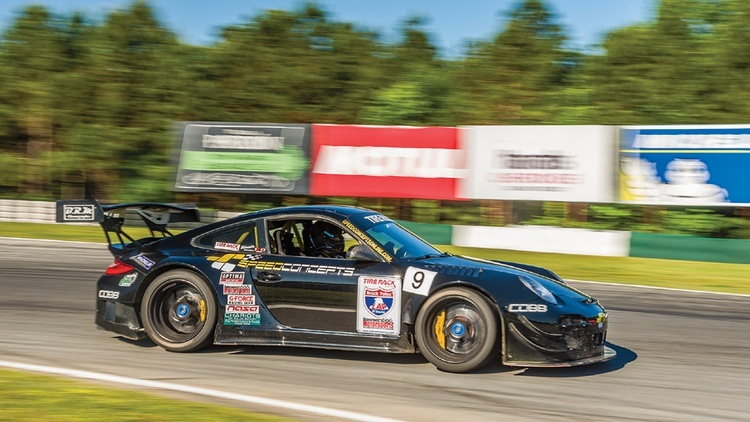 The uber-cool Speedconcepts Porsche 911 entry of Todd Treffert and Tyson Timperley made it through the week without any major issues to land on the second podium spot. After starting life as a 911 Turbo S, the car received a complete carbon-fiber RSR wide body. Todd’s driving style is best described as “all in,” as is Tye’s perspective on performance mods–which is why drama tends to follow them around. But when it’s right, it is oh, so right. 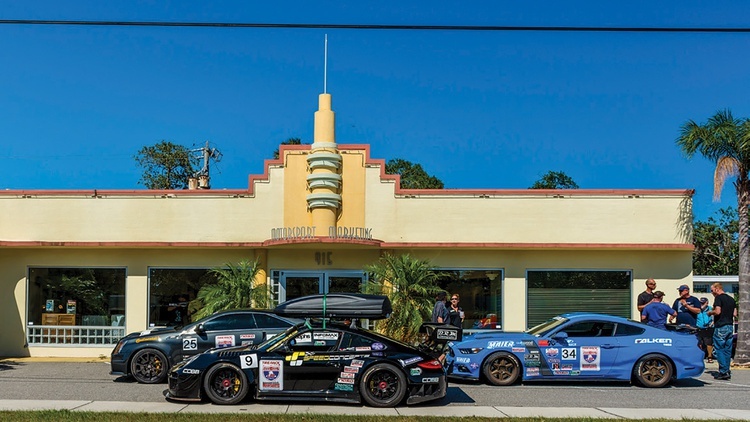 Breaking up the long transit from Sebring to Carolina Motorsports Park was a stopover at GRM headquarters just north of Daytona Beach, Florida. In addition to checking out the magazine’s iconic digs and meeting the faces behind the words, teams were treated to pizza and swag bags. We even set up a live webcast showcasing all the cool cars and chatting up participants. 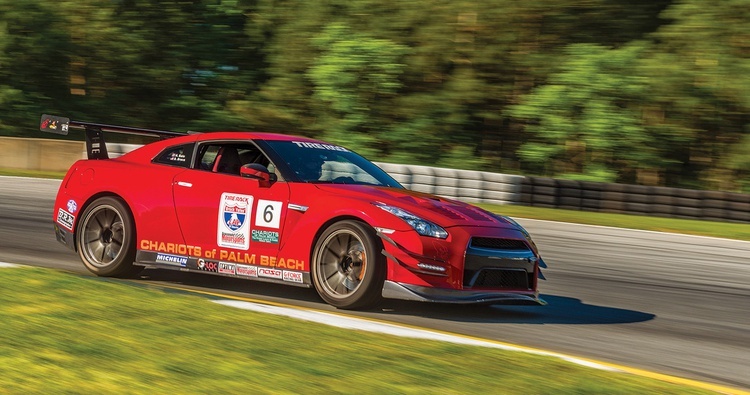 We’ve all heard the accolades: The Nissan GT-R can practically drive itself to ludicrous speeds around a race track, even with an inexperienced pilot. While that’s obviously an exaggeration, we’ve often wondered just how much truth there is to the idea. Well, wonder no more. For the 2017 One Lap of America, we tested that concept. The result? We won Stock GT and placed eighth overall in a 2016 GT-R that we found just days before the start of the event. The shiny new car spent one night in our garage getting packed. Then we broke it in with a 1300-mile journey to South Bend. There, a local dealership performed its first service, including a performance front-end alignment. Once at Tire Rack, we fit a fresh set of Michelin PS4S tires. To get some pre-event seat time, we ran a private test day with some other One Lappers at Gingerman Raceway. The event week started off amazingly well: We placed fifth overall in the wet skidpad and then scored a runner-up finish in the autocross. That left us leading the whole event overall after the first day. Reality would soon set in, though. Qualifying for the week was at Memphis, and we did well in the morning, finishing 10th overall. This meant we’d go on track early with the fast teams all week, getting on the road to the next track sooner than the bulk of the field. Our excitement came crashing down in the afternoon session: When we used the launch control for a standing start, the car experienced wheelspin and responded by falling into a limp-home mode. That limited us to low speeds for half a lap until the fault reset. The result was a 35th-place finish for that session. Since we didn’t want to experience that again, we had to resort to just whomping on the throttle and waiting for the turbos to spool up. No more launch control. The rest of the week, Team GRM put in strong mostly top-10 performances at all of the track events. Our best finish was a fifth overall at Dominion–in the rain. The car felt amazing on the long transits as we gobbled up the highway miles in comfort, but driving it on track was a skill we had to learn as we went. Unlike the twin-clutch transmissions offered by Porsche, Ferrari and McLaren, the GT-R’s often left us hanging when coming off a turn. Paddle shifting was required for optimal performance, and launching the car on slick surfaces could be a challenge in manual mode. We also found staggering amounts of body roll, even with the suspension set to the R mode. Combined with limited front camber and smaller front wheels, we found understeer at the limit. Still, when that steering wheel unwinds and the turbos fully come online, there is nothing quite like the acceleration of a GT-R.
Like stories like this? Check out our new One Lap of America feature article. You’ll see every article as soon as it's published by reading the print edition of Grassroots Motorsports. Subscribe now. 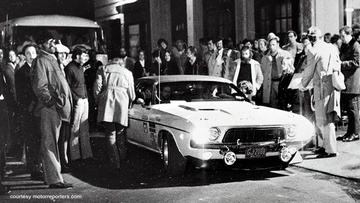 Shortly after midnight on November 15, 1971, the first of eight cars left the Red Ball Garage in Manhattan, New York, to begin a 3000-mile odyssey combining fast machines, the open road, circumstance and endurance. Known officially as the Cannonball Baker Sea to Shining Sea Memorial Trophy Dash, its full story is a collection of intertwining threads, one for each team of participants. With the only common elements being start and end points, each group defined their own experience with how they met–or failed to meet–the challenge. A lifetime of memories would be made in a single all-out motorsports road trip. Each year, weather plays a key role in deciding the optimal One Lap tire–and teams can’t change tires once the event is underway. The safe choice is one of the max-performance summer tires, with the Michelin Pilot Super Sport traditionally being the most popular. These tires work well in a wide range of temperatures, and their ample tread depth allows them to cut through the deepest standing water–helpful whentackling the wet skidpad competition. Plus, the Michelins are capable of surviving a week of tracking and transit. Other competitors instead take a chance on autocross tires from the 200-treadwear extreme-performance summer category. In dry weather, these tires are easily worth at least a full second per lap over their max-performance counterparts. However, they typically have compounds that work poorly in colder conditions and offer less hydroplaning resistance at track speeds. Last year, the combination of cold temps and wet weather during the event’s first three days spelled disaster for those who picked this option; they then had to claw their way back up the ranks. Teams had some new max-performance summer tires to choose from this year–and they turned out to be wise choices. Michelin’s replacement for the Pilot Super Sport, the Pilot Sport 4S, did extremely well, taking top overall honors and dominating the wet skidpad. Likewise, Continental replaced the venerable DW with the ExtremeContact Sport. This tire looked to be headed for the overall win until the Catesby Jones/Will Taylor Nissan GT-R entry had to retire midweek. Several teams took the gamble on 200-treadwear tires this year, and it paid off. 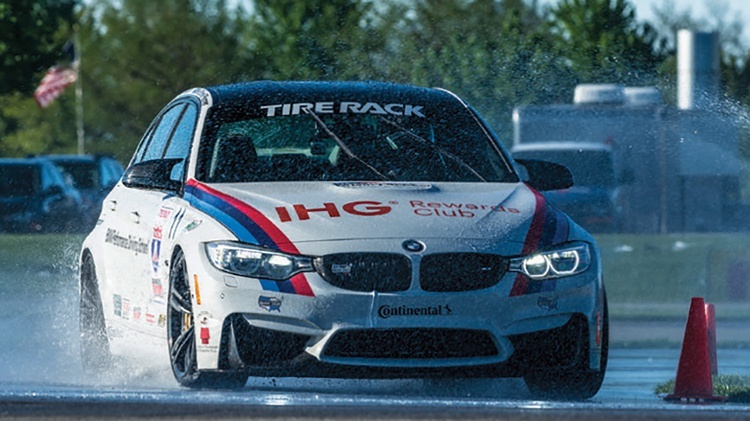 While their performance suffered on the cold, wet skidpad, the rest of the event was dry with one exception. The highest-finishing driver on 200-treadwear tires was Chris Lewis, who ran the BFGoodrich Rival S on his 2015 Corvette Z06. 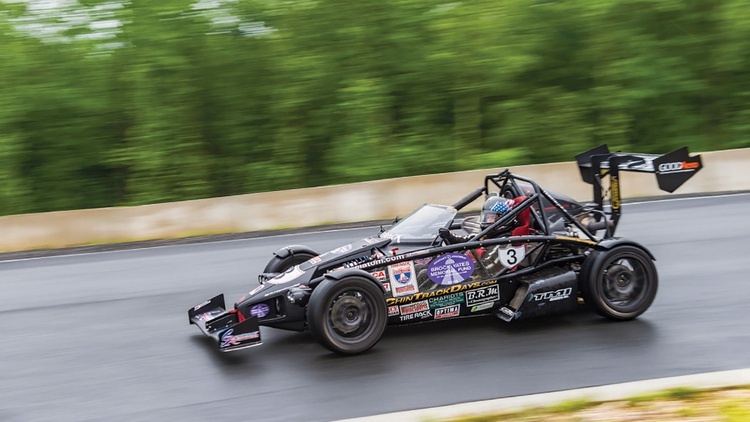 He took top honors on the dry skidpad to cap off a sixth-place overall finish–and that was after kicking off the event with a 47th-place run on the wet skid.